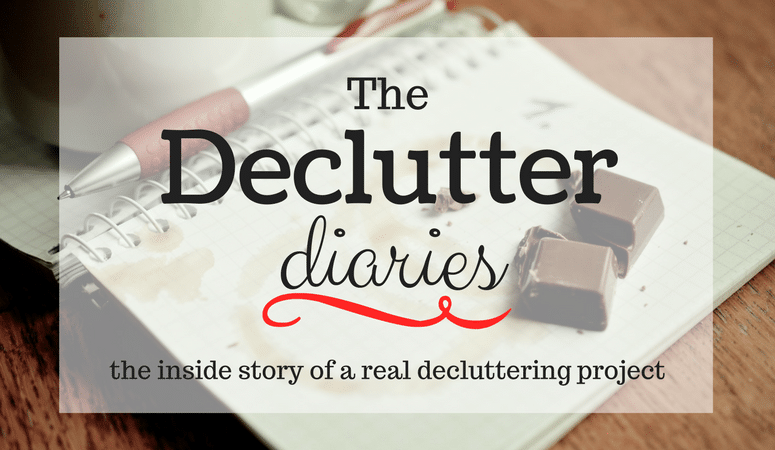 The Declutter Diaries: Day What? You are here: Home / Declutter / The Declutter Diaries / The Declutter Diaries: Day What? 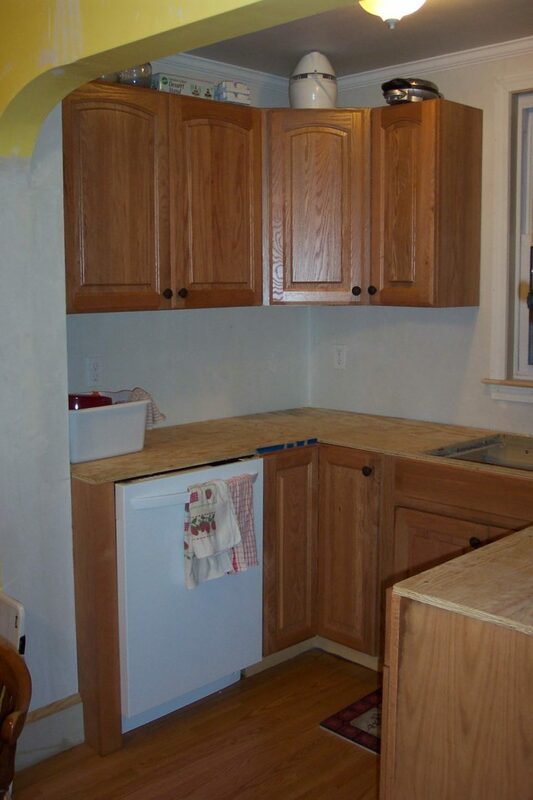 Our house is fairly old and has multiple layers of flooring in the kitchen. So when the dishwasher finally died two weeks ago, we faced the dilemma of how to remove it (it was sitting more than an inch below “floor level”). 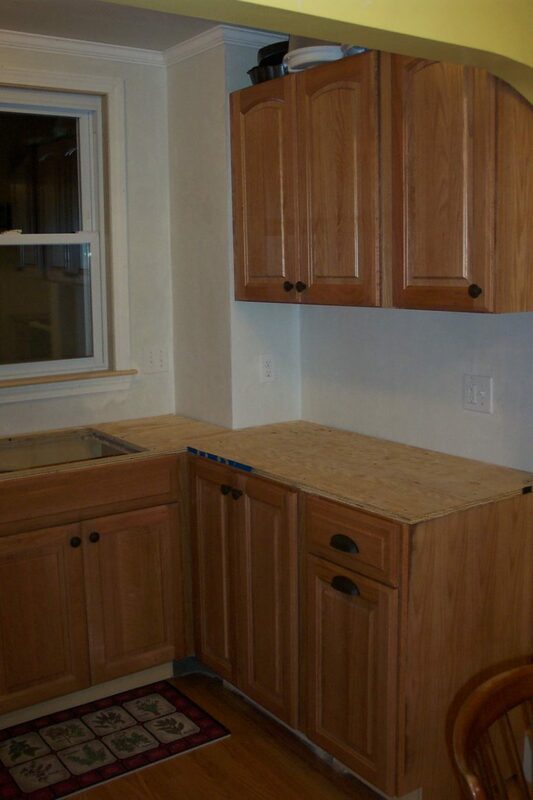 After considering the options of tearing up the floor with who-knows-what results or taking the countertop off to lift the dishwasher out of the “hole,” my husband decided that maybe we should renovate the kitchen. Today I spent some time decluttering the stuff on one counter and then chiseling some “faux” brick tiles off a corner bump out. Fortunately, it wasn’t as difficult as I thought it was going to be. I need to quickly get rid of stuff we don’t need so I can measure the remaining items. 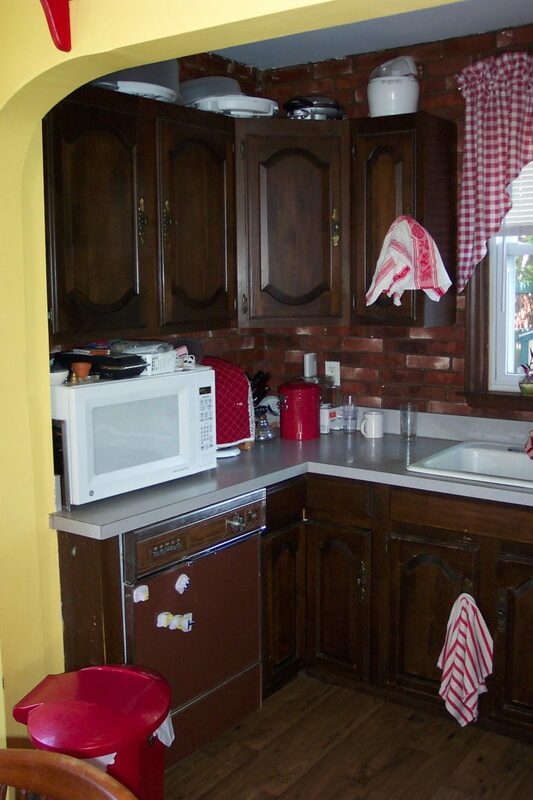 Then we can figure out what kind of cabinets and drawers we really want to have. 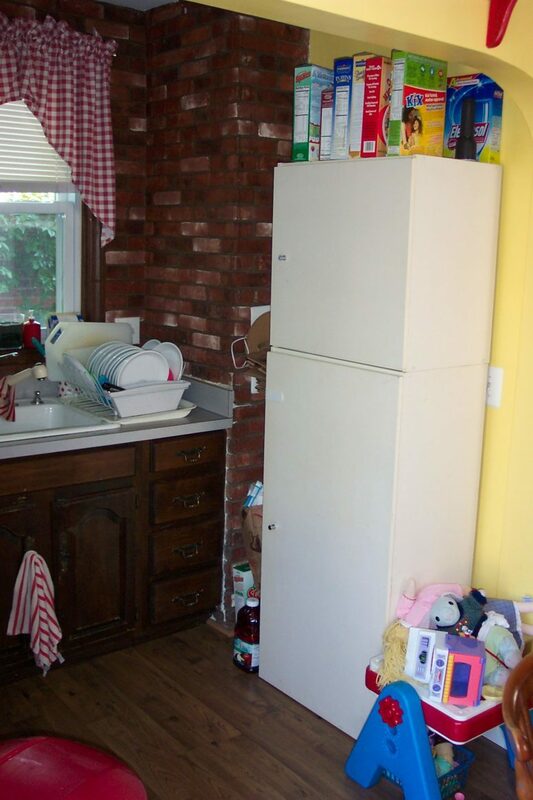 This is my big chance to reorganize the kitchen to be more functional and have better storage. It’s great, but school also starts in a few weeks. I have so much to do to get ready! My blog entries may be less frequent. Still, I intend to march onward in the decluttering project even though it is evident that I will not finish in 90 days.